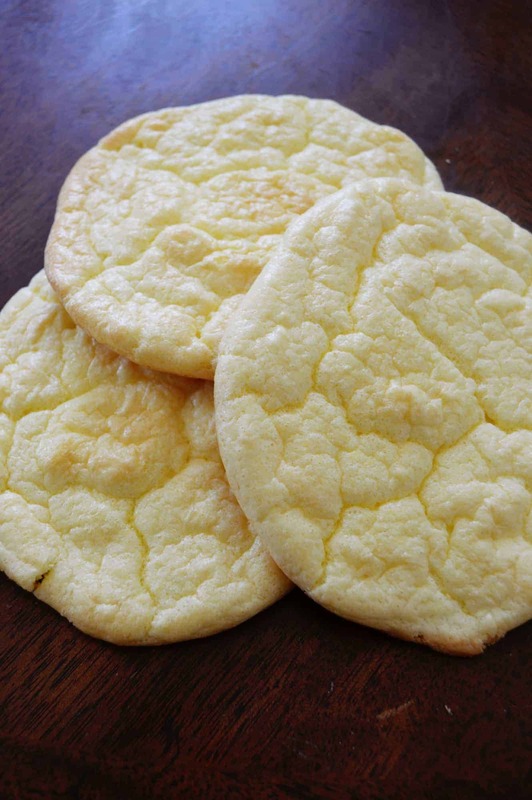 Cloud bread or sometimes called Oopsie bread was a mistake. Maybe you guessed that by their name- Oopsie! However, this ‘mistake’ had a silver lining- the bread was great! The story goes that a recipe blogger named Cleo was trying to make the Atkins diet Revolution Rolls but used cream cheese instead of cottage cheese. The result was the oopsie roll, a light, fluffy roll that is made with just eggs, cream cheese, salt and the optional psyllium husk and cream of tartar. Sounds simple enough! 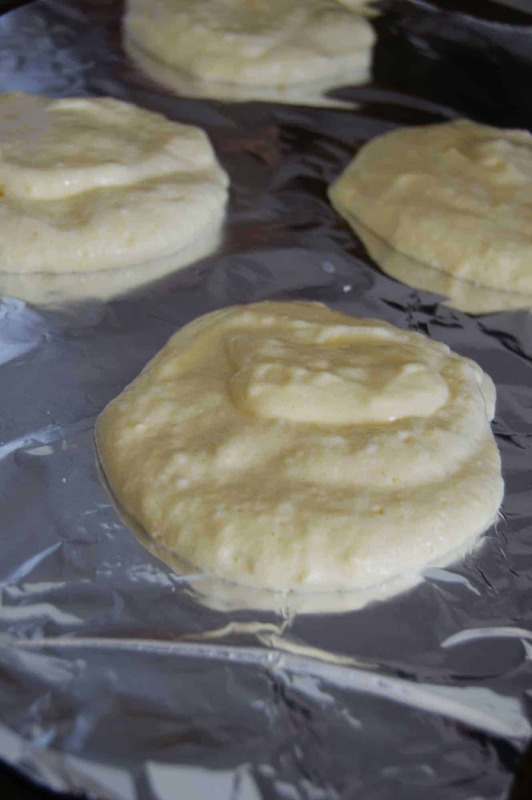 Oopsie rolls begin by whipping the egg whites until they are super light and fluffy like a cloud. 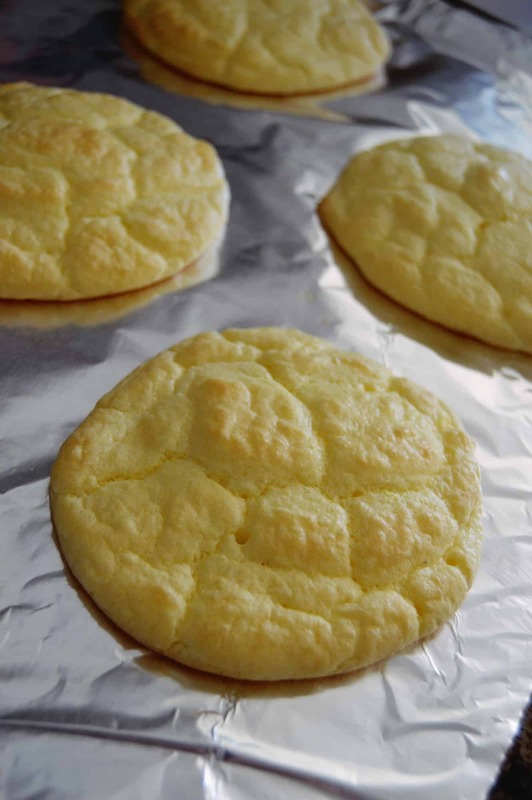 Hence also known as Cloud Bread. 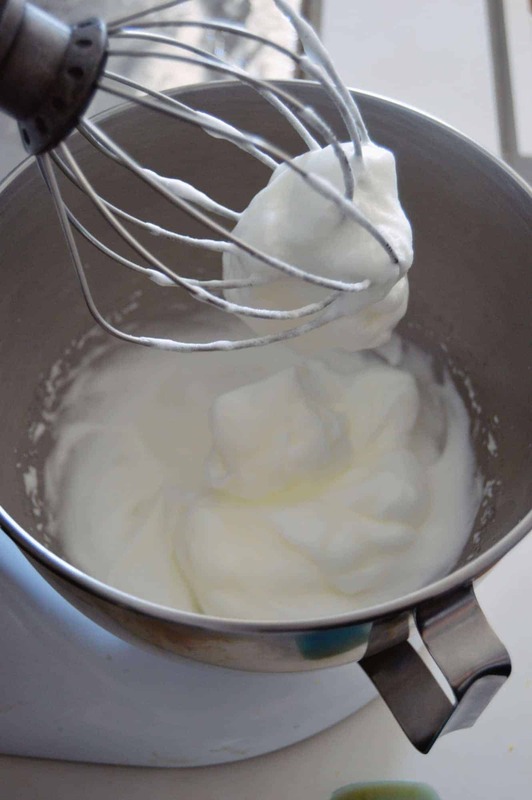 If you want to get technical, this is called the stiff peak stage of egg white whipping. You can choose to add a tiny bit of cream of tartar to the whites to help them stay stiff but it is not necessary. 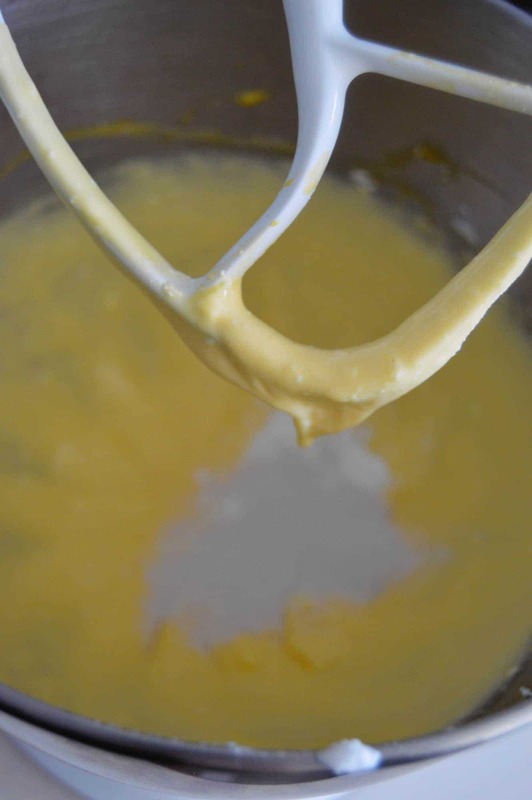 Once the whites are whipped, the egg yolks and cream cheese are beaten together using a paddle attachment of a stand mixer or a set of hand beaters. Make sure the cream cheese is really smooth to ensure your rolls do not have cream cheese chunks. Beat the yolks and cheese as long as it takes!. A touch of salt can be added at this stage too along with the psyllium husk powder. Psyllium husk will also help the rolls set and make them more bread like when baked. The fiber in the psyllium will bind the ingredients and act kind of like gluten would in bread. But, if you don’t have it, don’t worry! The rolls will still be great. My favorite use for these low carb rolls is as burger buns. One roll for a top bun and one for the bottom and you have a perfect burger! 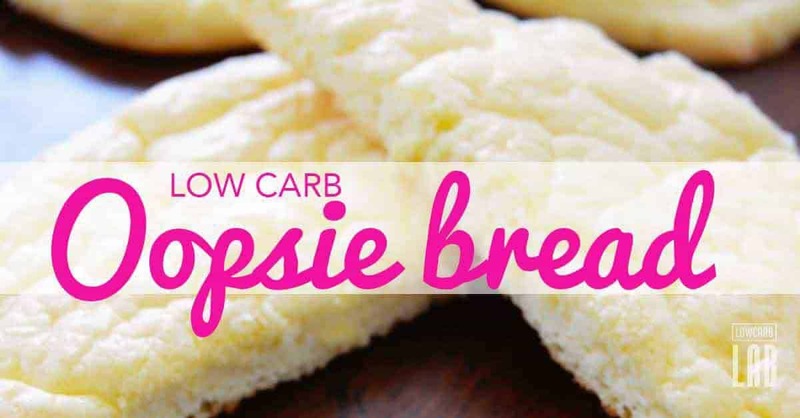 Who says low carb diets have to eliminate burger bread?!? You can also use the rolls to make sandwiches. They are perfect for a nice ham and cheese lunch creation. 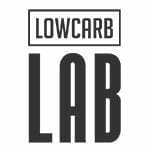 See my list of 50 amazing low carb bread recipes. I must say that I really like just eating an oopsie roll plain, maybe with a little butter. They are simply satisfying to eat especially when you haven’t had bread in a long time. 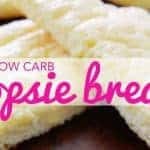 So, it doesn’t matter if you are eating gluten free, trying to stick to low sugar foods or on an overall low carb diet, these oopsie rolls are perfect for anyone! Make a bunch to have on hand and eat them anytime you just need some bread. Try my delicious low carb banana bread recipe. Beat the cream cheese and egg yolks until very light. The cream cheese should be completely creamed and smooth. Add the psyllium husk powder (if using) and salt to the egg yolk mixture. 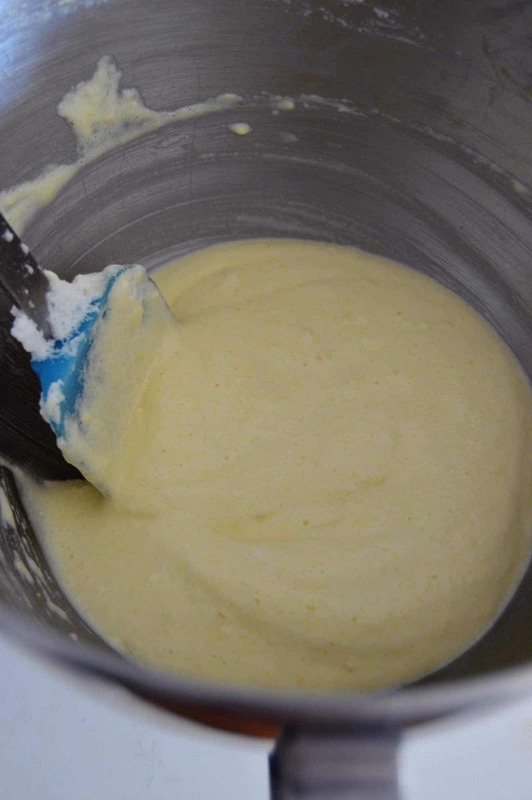 Fold the whites and yolk mix together gently. Try to keep the whites fluffy and not knock the air out of them. Spoon into four circles on a foil line sheet pan and bake in a 350 degree oven for 25 minutes. The rolls will begin to brown slightly. Remove from the oven and cool before using. 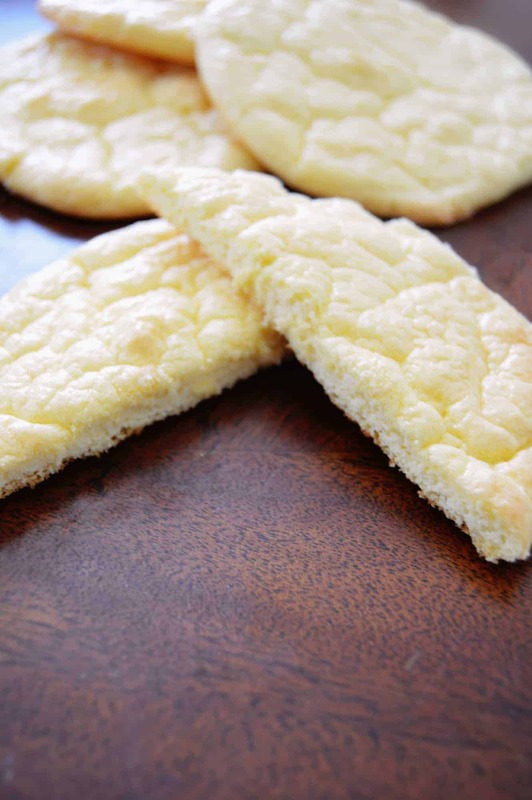 Cloud bread is great, but for more flavourful options you definitely need to see our top 50 mouth watery Paleo bread recipes.